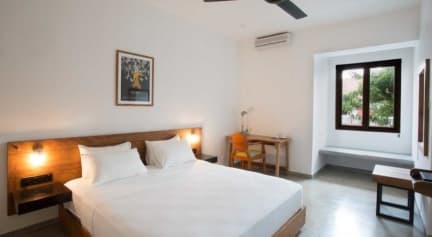 Moss Colombo is located on close to the Thummulla Junction, just a 5 minute walk away from the Colombo’s best cafes, art galleries (Barefoot & Paradise Road), restaurants (Green Cabin and Gallery Cafe), shopping (Majestic City) and the ocean. 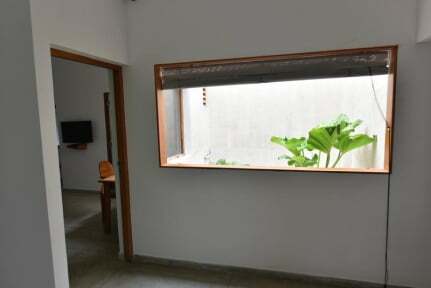 Spacious air-conditioned rooms come equipped with cool cement floors, a wardrobe, seating area, a desk and standing fan. Guests have access to either a private or shared bathroom with hot shower facility and free toiletries. At Moss, the friendly 24-hour front desk staff can assist guests with luggage storage, car rentals and laundry services. Airport transfers can be arranged at an extra charge. Guests can enjoy complimentary tea and coffee at the common lounge area.